Trenchcoat is probably the most practical item for spring and autumn. The lady I have seen in Paris combined Burberry trenchcoat with Chanel handbag and ballerinas. Lovely look! Pierre Hermé is my most favorite macaron producer. Their flavours are unique and difficult to resist. 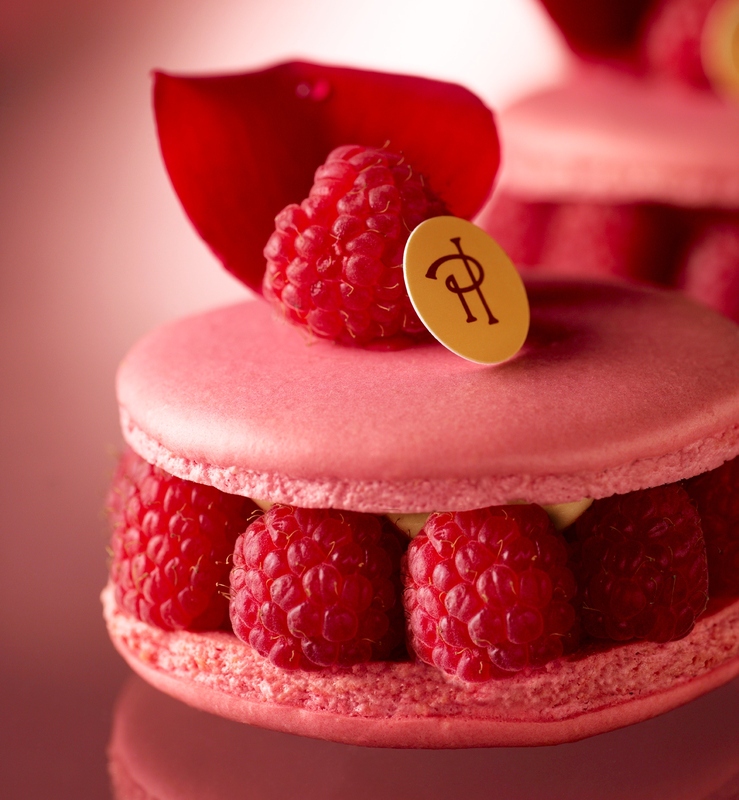 My favorite macaron of Pierre Hermé is Mogador(chocolate&passion fruit) and my favorite dessert is the famous Ispahan; the lovely rose flavour and the freshness of lychee combination is like heaven. In addition to the macarons and delicious desserts, they also make great chocolate. I am a fan of their macaron flavoured chocolates, especially the milk chocolate with passion fruit and dark chocolate with framboise filling. 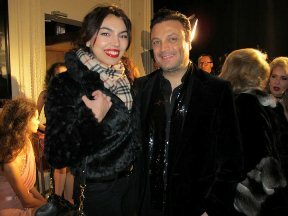 These are my favorites, what about Mr.Hermé? I had the opportunity to interview him and ask my questions. 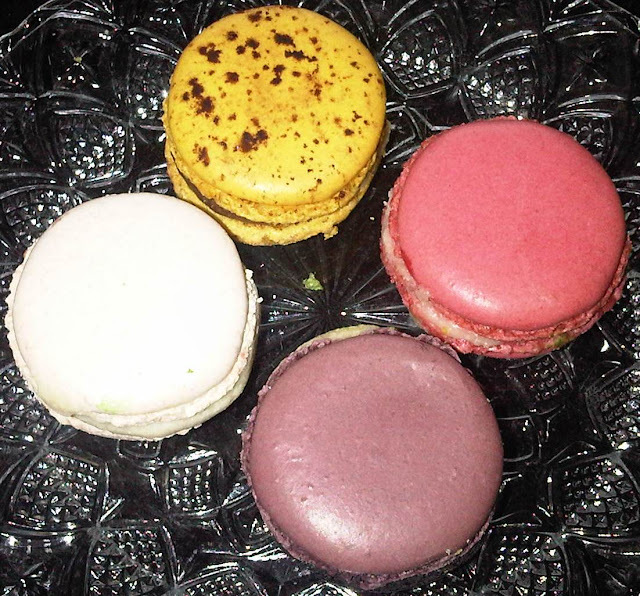 His answer about his favorite product was Macaron Oeillet: rose, vanilla and clous de girofle. 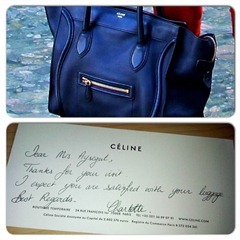 They have many stores in Paris and abroad. I wonder how they maintain the same quality and service in their different boutiques. 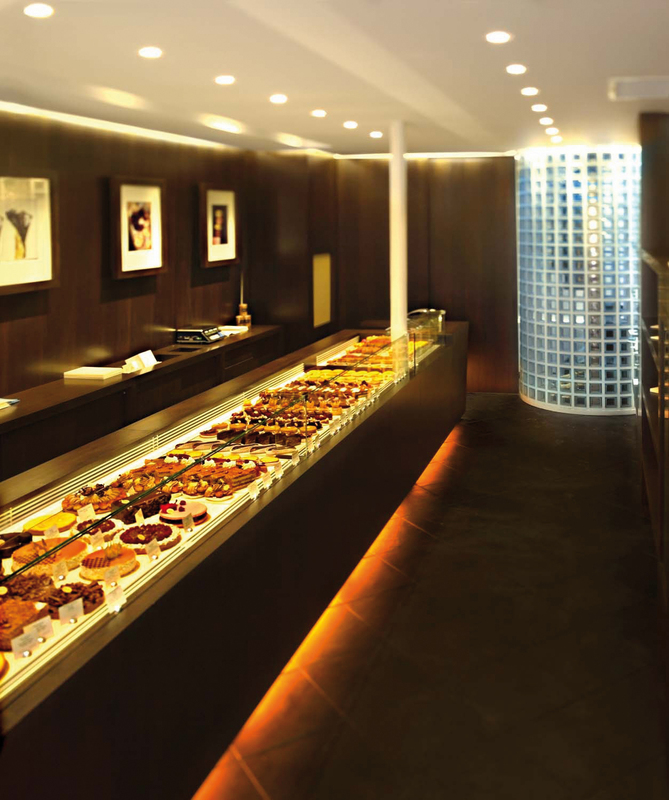 Mr.Pierre Hermé says it is a straight and precise organization. I also wondered the most selling flavours. 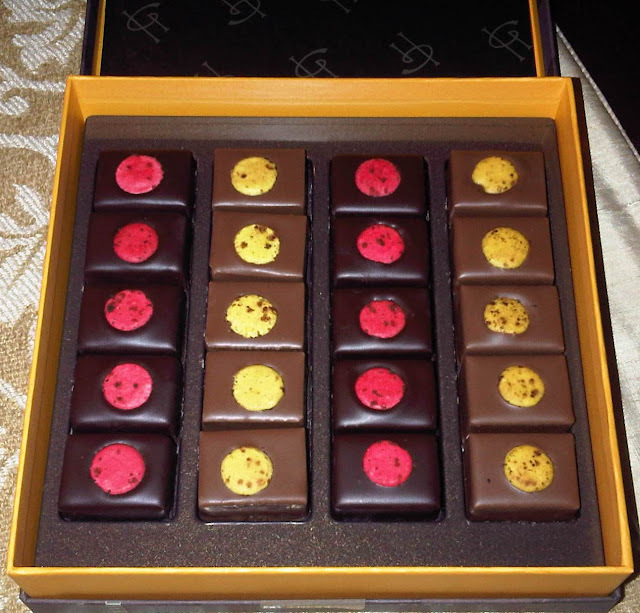 Mogador, Rose, Infiniment caramel and infiniment chocolat are the most popular ones. As there are many different kinds of macarons in their boutiques, it is not easy to leave without buying big amounts of them. But it is also very difficult to keep them fresh, especially if you want to take them home with you. Mr.Hermé says the key is 3 days in fridge before and after traveling. My final question was about their boutiques not offering a tea room for enjoying the desserts under Pierre Herme roof. I believe this is the only downside of Pierre Hermé. But Mr.Hermé does not agree with me and says they don't have plans for expanding the concept of their boutiqes in that direction however, their creations are proposed at Royal Monceau Raffles Hotel in Paris. Makaron ﻿denince bircok kisinin aklina farkli markalar gelse de benim icin en lezzetli makaronlari yapan yer Pierre Hermé'dir. Paris'e gittigimde ugramadan duramadigim bu pastanenin en sevdigim urunleri Mogador ismini verdikleri sutlu cikolata ve passion fruit*ten olusan makaronu ile Ispahan ismindeki güllü makaron ve liçiden oluşan tatlisidir. Makaron ve pasta disinda cikolatalari da cok lezzetli oluyor buranin. Makaron aromalari ile tatlandirilmis cikolatalari denemeye deger. Bunlar benim favori lezzetlerim, peki ya şef Pierre Hermé ne düşünüyor? Kendisi ile roportaj yapma imkanı buldum ve en sevdigi urununu sordum. Cevap "macaron oeillet" idi; gül,vanilya ve karanfil tozu aromali makaron. Paris'te ve yurtdisinda bircok magazasi olan bu işletmenin aynı ürün ve servis kalitesinde devamliligi nasil sagladiklarini merak ettim. Pierre Hermé'nin cevabi basitti; titiz bir organizasyon. En çok satan makaron aromalarını da sordum. Mogador, gül, karamel ve cikolata en çok talep gören makaronlarmis. Çeşit çok olunca insan hepsinden almak istiyor ve ülkesine getirip bu lezzeti sevdikleriyle paylaşmak istiyor. Benim makaronda en büyük sıkıntım aynı lezzeti nasil koruyabileceğim konusundaki bilgi eksikliğimdi. Seyahatten önce ve sonra 3 gün diyor Bay Hermé. I was having breakfast at Mabillon on Saturday and saw this extremely stylish lady on her bicycle. 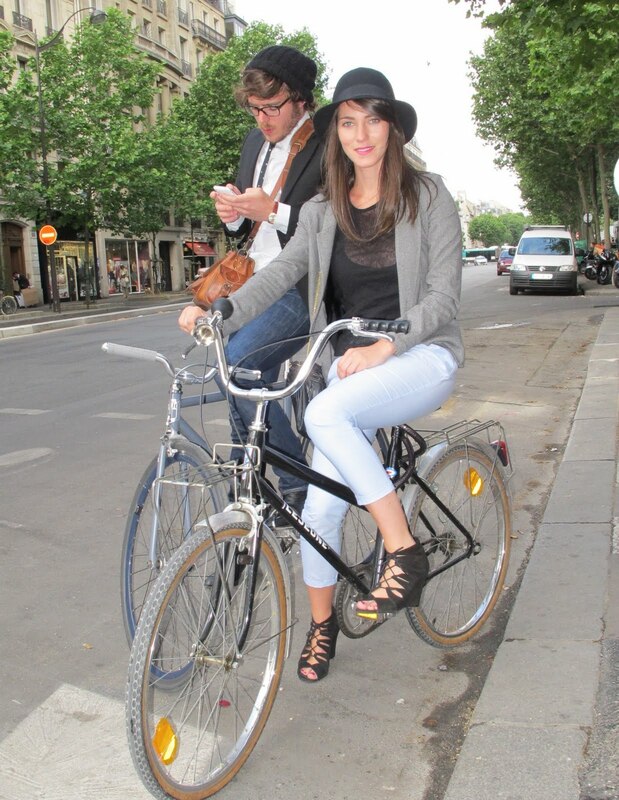 I jumped on the street to take her picture so that I would be able to share her amazing look with you all. Bows are everywhere. Blouses, skirts, shoes, jackets... I generally like bows but wasn't aware that I was a bow fan until I started preparing this blog post. When I started planning the blog post of bows, I thought it would be nice to shoot some pictures with my bow outfits and started checking my wardrobe. The amount of bowy stuff I have shows that I am madly in love with it. After seeing all them, I thought it would be fun to create the overbow concept. Spring is already in town so it's time to play with colors. And who says only women can? 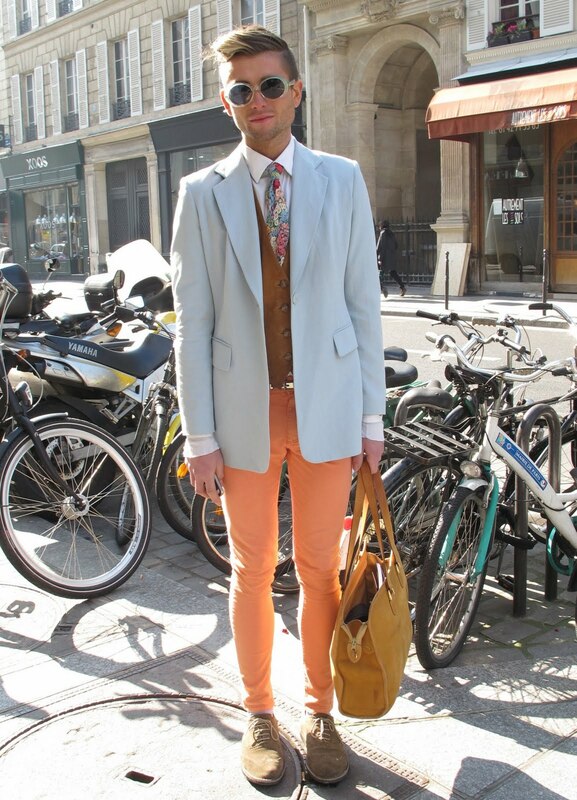 Here is the amazing look of a stylish gentleman with the harmony of colors from Paris.